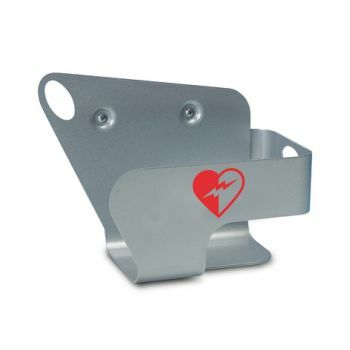 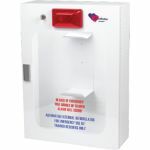 The wall mount bracket is designed specifically for housing a Philips HeartStart defibrillator and its accessories. 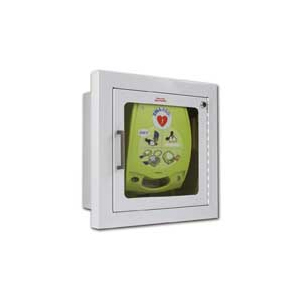 The defibrillator's carry case an be tethered to the wall mount bracket with a breakaway secure-pull seal (M3859A) to discourage tampering. 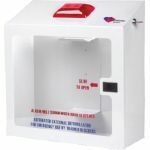 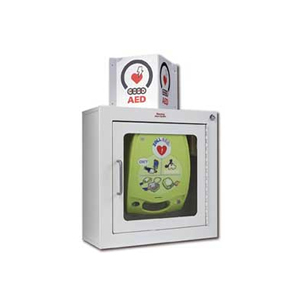 A broken seal indicates the defibrillator has been removed from the wall mount and accessories may need to be replenished.